How do YOU find YOUR personal style? It’s a big question. These days, there is so much inspiration out there. Pinterest and Instagram are chock full of outfit ideas, and we can all easily find our favorite trendsetters to follow. But after a certain point, it can all start to feel like brain clutter. Sure, there are plenty of cute outfits out there, but sometimes when you go to recreate it, something feels off. What’s REALLY right for YOU? What makes you feel like your ultimate best self? What makes other people look at you and go “she’s really got something going on”? 1. Your life. As a busy mom myself, I understand first hand the importance of your clothes fitting in to your daily life. That means, what looks great on the runway, in a magazine, or on a high fashion blogger doesn't always work in real life. 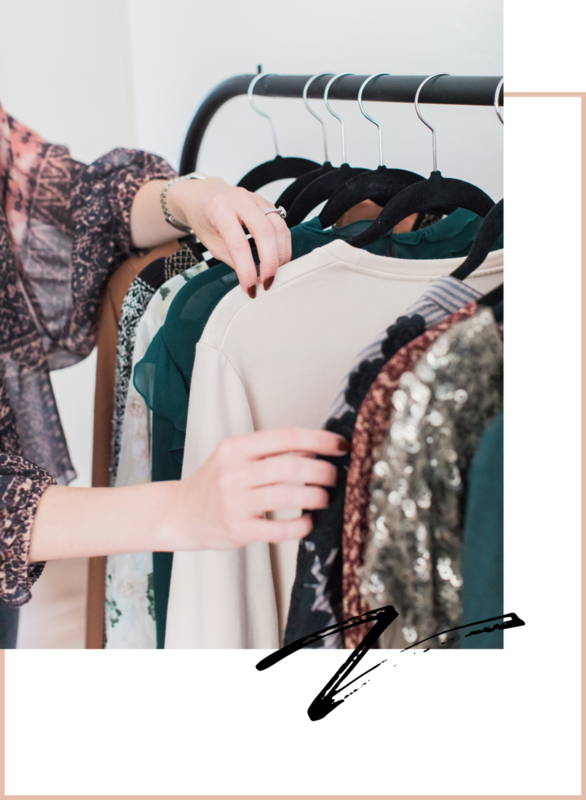 I'm here to help you find the clothes that don't feel like a costume, but rather an enhancement of your natural features and a support to your daily To Do List. 2. Fashion Feng Shui and the 5 elements. WATER. WOOD. FIRE. EARTH. METAL. The ancient Chinese art of harmonizing yourself with your surrounding environment. While we’re used to this mainly applying to interiors, think of it in terms of our clothing being our most intimate environment. Everything we wear has an energy, a vibe. Every garment or outfit is made up of the energies of one or more of the elements. It’s how you use them that makes the magic happen. Your clothing makes the ultimate first impression, and the way people perceive what they see is more universal than you might think. 3. Your essence. Each one of us has an essence, which is based not on how you are already dressing per se, but on your personality. Your inner self. Our essence is made up of some combo of the 5 elements (usually with one of them as your main driving force). Say you’re a free spirit, and your friend is a perfectionist. Your sister is a drama queen, and your mom is traditional. These are parts of what make up our “essence” and the elements help us put the categories into words. 4. Your intentions. Whether it’s a goal for the year or for the day, these are the intentions which your wardrobe can help you achieve. The power of dressing with intention is no small thing. It’s about showing the world who you are, and who you want to become. 5. Your unique features. Every person is different on the outside too. The combo of your hair, skin, eyes, body type, and general visual vibe contribute to what makes it all come together.